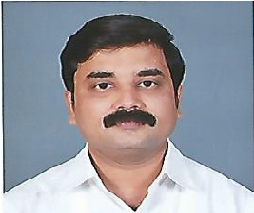 Dr. Rajashekar Patil has obtained BE degree in Mechanical Engineering, PGDBM in Business Management, M.Tech. degree in Production Engineering system Technology and PGDNBT in Nanobiotechnology. He obtained Ph.D from Visvesvaraya Technological University. He posesses over two decades of teaching experience and is a member of various professional bodies. He has been honoured with several awards for his work. He is actively involved in reasearch activities and has published over thirthy five papers, eight books and guided research scholars for their Ph.D. He has served as the resource person in various conferences and workshops in industry and academia. He has initiated a start-up for Design, Fabrication and Training on 3D printer using fused deposition modelling. Receive updates and news about our achievements, events and seminars. Copyright © 2019, CMR Jnanadhara Trust. All Rights Reserved.